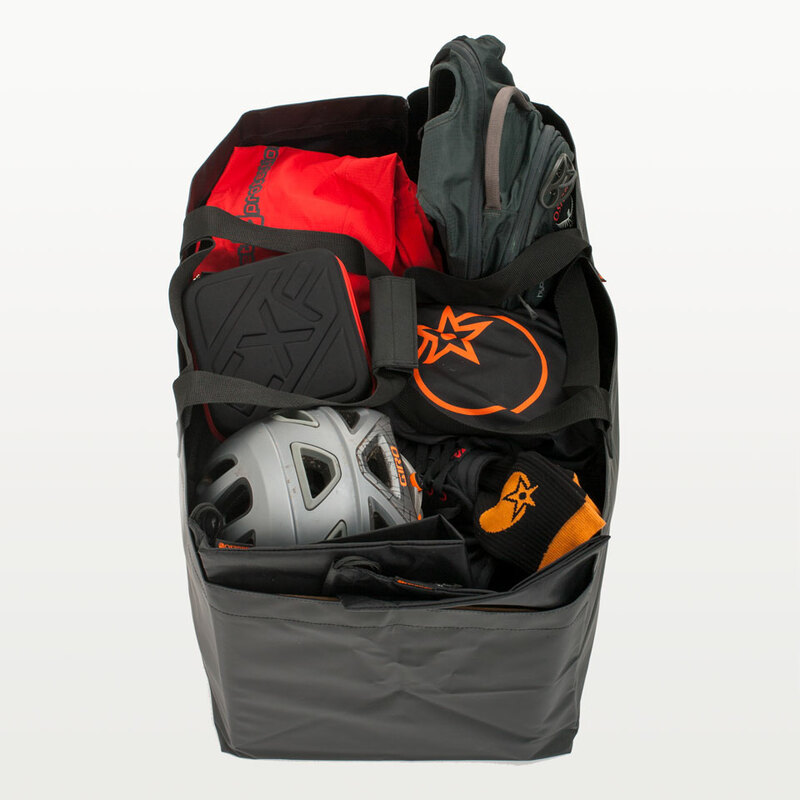 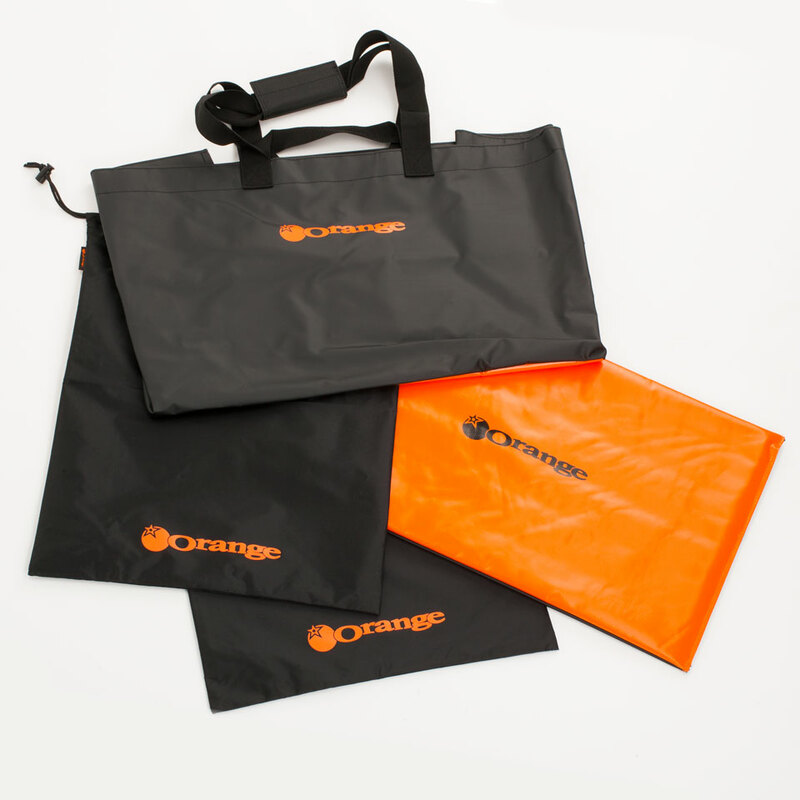 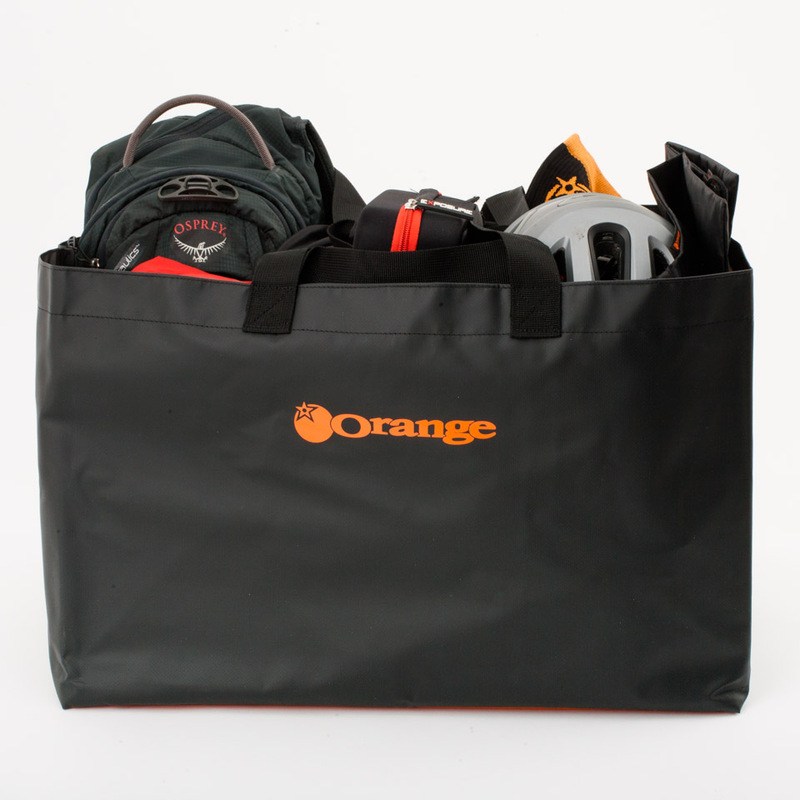 This is the Orange Bikes Kit Bag, also known round these parts as "Jono's Van Bag". 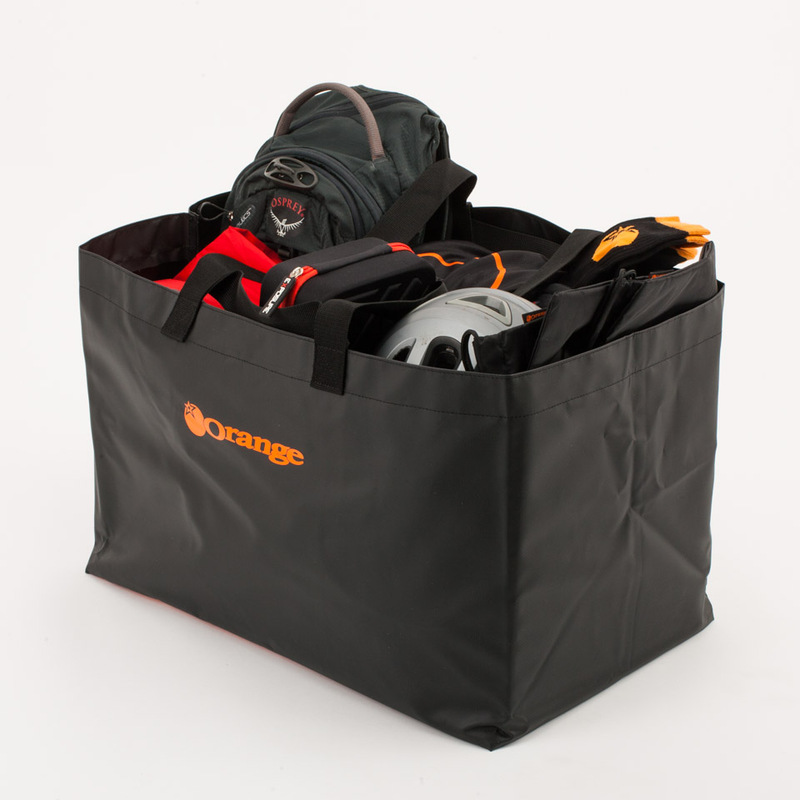 Perfect for keeping all your gear in one place and not rolling around inside your car or van. 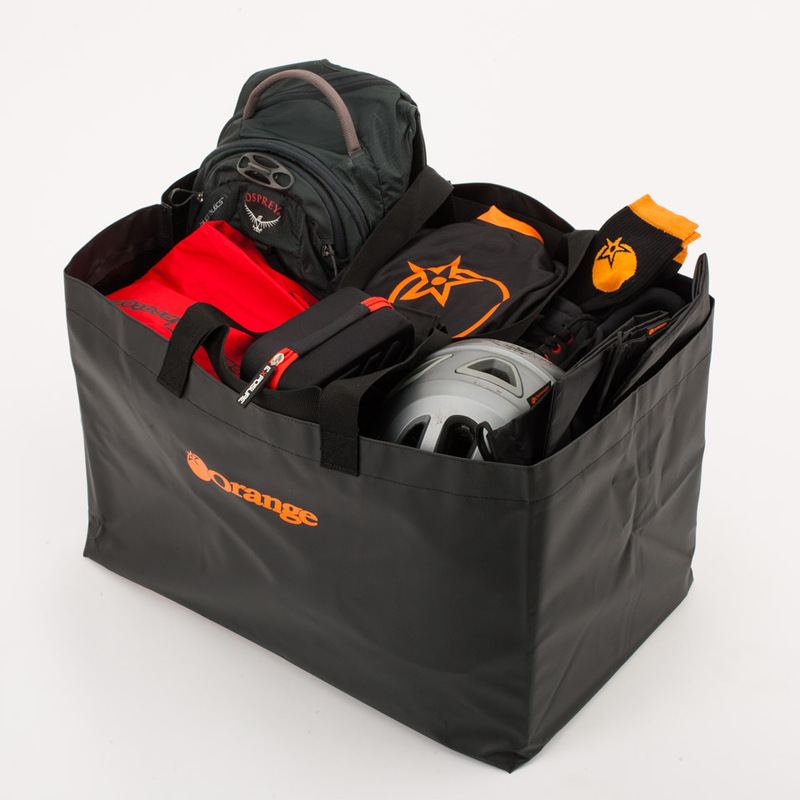 The roomy 68 Litre holdall style bag comes with a padded changing floor mat and two dirty gear draw-cord bags to keep your mucky stuff away from your nice clean gear.